Manage appointments, keep track of tasks, get reminders, and share calendars. Over a million people have discovered the power of VueMinder. Find out what you've been missing. 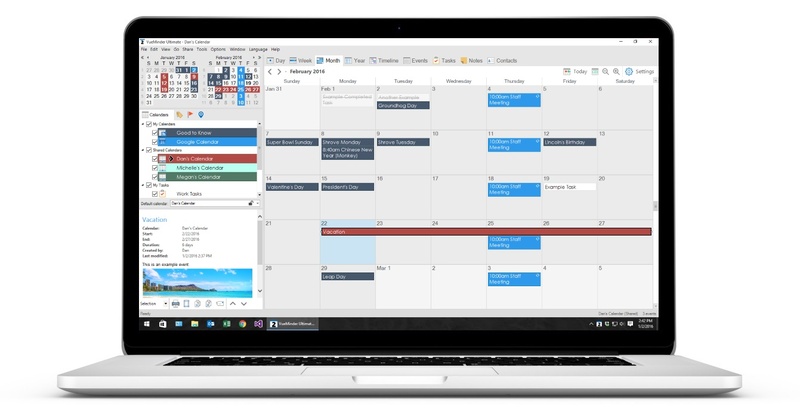 VueMinder helps you get things done by providing more useful features than any other calendar software. Isn't it time for a calendar that works with you rather than against you? VueMinder is one of the best all-around calendaring programs you can find... Anyone who's not satisfied with their existing calendar program, or is looking for one for the first time, should give it a try.